So, it is proven that topical creams can increase collagen production to heal scars or for anti aging effects. 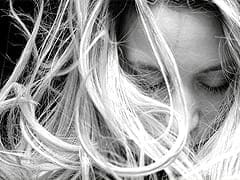 However, there is no single solution that will increase collagen production in the long term and without side effects. Topical Creams to Boost Collagen? It is the collagen in our skin that keeps it soft, supple and taut. It is what keeps our skin looking young and prevents sagging skin, lines and wrinkles from forming. The primary cause of lower Collagen levels is simply the aging process. 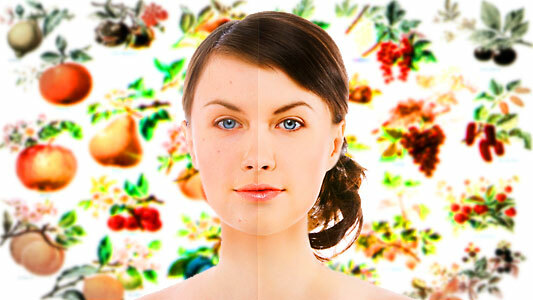 However, exposure to sun, hormone changes or smoking all accelerate skin aging. In these cases the degrading of collagen in the skin is caused by oxidative stress in the cells. This is where the use of vitamin supplements, in particular essential fatty acids, and the use of external products can be of help. For women an important cause of collagen loss at menopause is lower oestrogen levels. Oestrogen actually acts as a powerful natural anti oxidant that protects loss of collagen. Skin hydration is important for maintaining skin elasticity and youthful looking skin. Lipids in outer layers of skin play a vital role in hydration. These molecules are the building blocks of cells within the body. Lipids are synthesised from fats in the diet in particular Oleic fatty acids. The membranes around your cells are actually made up of proteins and up to 80% lipids. 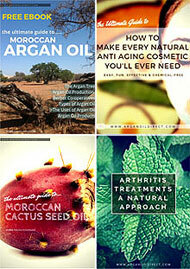 Studies were made into skin aging and how Argan Oil led to a significant improvements in hydration. They discovered that a diet rich in oils rich and linoleic acid and external application of nutrient rich oils had a positive impact on skin dryness cellular health. This research lead to the production of a product for dry skin which is called Lipowheat. You may find this of benefit in cases of very dry skin conditions such as Eczema. Anti-oxidants are essential to support collagen production by neutralising “free radicals” in the body. Two of the most potent anti-oxidants are vitamin C and Vitamin-E, which is found in high levels in Argan Oil. But why is protection against free radical damage important and why are anti oxidants so important? Free radicals are atoms or molecules that are very chemically reactive. Their destructive power is concentrated in the place where they are created, which is mostly in the cells’ mitochondria – cells in your body or on the surface of the skin. Free radical molecules seek opportunities to “steal” electrons which they are missing. To get these missing “electrons” they will attack any nearby chemical compounds. This includes biological chemical compounds that are involved in important reactions in your body, or even a part of a DNA molecule. They leave behind damaged cells throughout the body – in heart muscle cells, nerve cells, and the skin. Free radicals damage collagen by stealing an electron from one of the proteins in a strand of collagen. This causes a change in the chemical structure of the collagen at that point, creating a tiny break in the strand. Once a bundle of collagen has multiple points of damage that occur over the years, it becomes damaged and disorganised. As a result, our skin begins to get that familiar sag and wrinkled effect. Although our skin naturally has cellular enzymes and other metabolic processes to deal with this oxidation damage, aging and environmental stresses like sunlight, smoking, and pollution, can eventually overpower these protective controls. 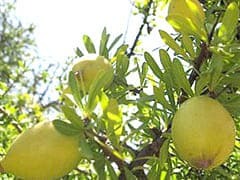 Applying a antioxidant like vitamin C in combination with Argan Oil which is also rich in anti oxidants, Vitamin and Linoleic Fatty Acid ( G.L.A. ), is a very effective way to boost the skin’s natural collagen for protection against free radical damage over the long term. Vitamin E is one of the most powerful anti oxidants. 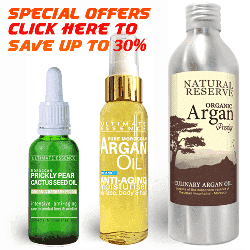 It is available topically in very high levels in Argan Oil. In addition taking it as a supplement can slow skin aging and aging of the body in general. 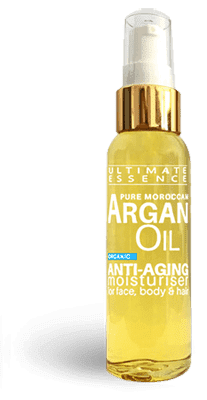 Argan Oil is a complex blend of essential fatty acids, Vitamin E, Ursolic Acid, Carotenoids, Polyphenols, Ferulic Acid, phytosterols, Squalene all of which are active in maintaining healthy skin cell growth. 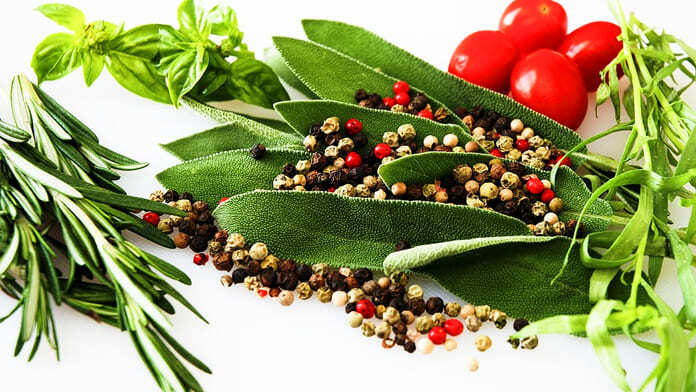 Comfrey roots and leaves contain a rich variety of nutrients including allantoin which is known to stimulate skin cells growth. Rose hip Oil is also full of antioxidants and high in vitamin C. Rose hip oil is very rich in beta carotene which is known to promote a healthy skin as well as other anti-inflammatory components. 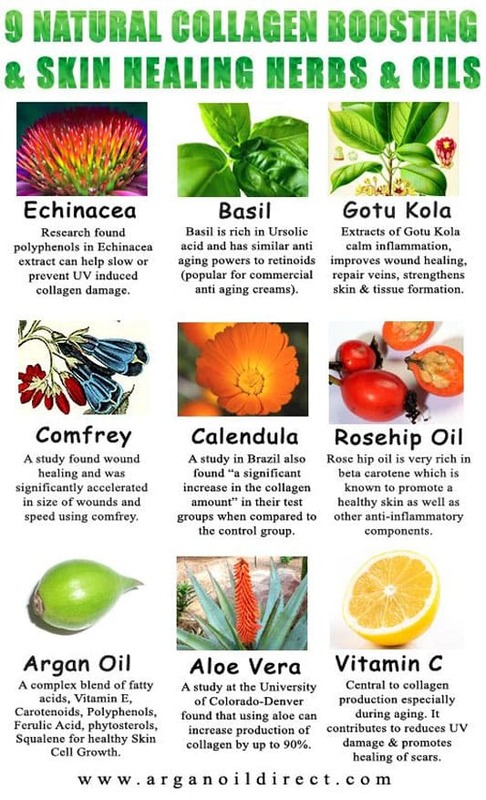 Rose hip nutrients work on a cellular level too to rejuvenate the skin. The high vitamin C content of Rose hip Oil means it may also have beneficial effects for treating melasma, hyper pigmentation or dark patches on the skin.